Arrival at Port Blair in the morning by flight/ship and transfer to hotel. After lunch, visit the Corbyn's Cove Beach - 9 kms from Port Blair - a coconut palm fringed beach, ideal for swimming, sun-basking & bathing. Then, visit the famous Cellular Jail, followed by the enthralling Sound and Light Show at Cellular Jail - where the heroic saga of the Indian freedom struggle is brought alive. Overnight Stay at Port Blair. The Corbyn&rsquo;s Cove, is a serene and unspoiled soft sandy beach, set in picturesque background of lush green coconut palms and pleasant blue sea. The main attractions of this beach are the inviting water sports activities like surfing, scuba diving and boating. The Corbyn&rsquo;s Cove beach, situated 8 kms from the City centre is the closest Beach from the city. This coconut- palm fringed beach, is ideal for swimming, surfing and sun bathing. The Waves Restaurant, The Peerless Sarovar Portico Resort and the Hornbill Nest Guest House are at a stone&#039;s throw, from the beach front. In fact, Peerless Sarovar Portico is the only beach resort inside the city. The Cellular Jail, also known as Kala Pani is located at Port Blair, was completed in the year 1906. Acquired the name &lsquo;Cellular&rsquo; because it is entirely made up of individual cells for the solitary confinement. It was used by the British to exile political prisoners to the remote archipelago. Many notable protestors such as Batukeshwar Dutt, Yogendra Shukla and Vinayak Damodar Savarkar were imprisoned here during the struggle for India&#039;s freedom. The Jail has been declared as a National Memorial Monument, a place of pilgrimage for all freedom loving people. Visit the Island and we promise to provide you with the best tour as per your purpose of the visit. Making sure that every hour you spend here is worth.Below are the packages we recommend and we hope you will like. If not these mail us your preferences and we will plan accordingly.when you mail us do mention the purpose of your visit. You may mention more than one. You are welcome. Start after breakfast for a full-day Excursion to Jolly Buoy/Red Skin(Coral Island) - to see coral reefs, exotic varieties of beautiful ornamental fishes and other marine life. The glass bottom boat ride helps one to take a closer look at the vast coral colonies. Overnight Stay At Port Blair. Jolly Buoy Island is very famous for underwater corals view and the pristine clear beach. Snorkeling, glass bottom boat ride and scuba diving are available here. Jolly Bouy is located in Mahatma Gandhi National Park. It is srrounded by other islands with thick forest, where people can enjoy the running sea view between these islands. The long white sand beach here is littered with the dry, twisted trunks of trees and fringed by dense forest. One should only snorkel here at high tide, as the corals are easily damaged when the water is shallow. Early morning departure by inter-island ferry to Neil Island (57 kms by sea from Port Blair). 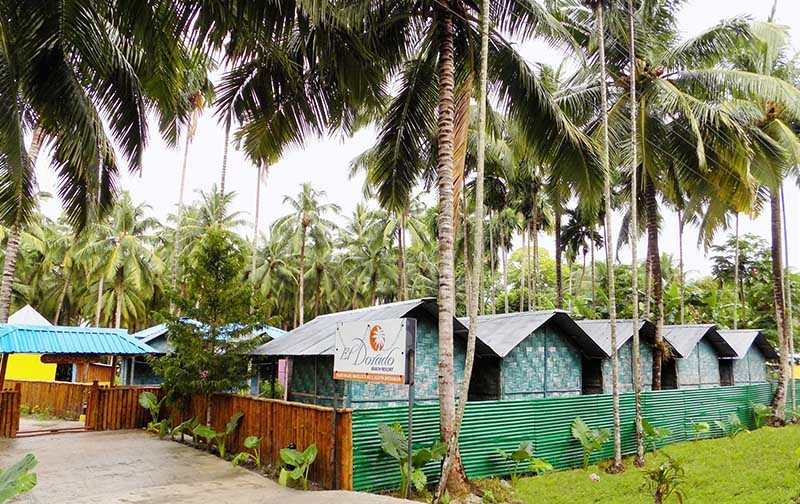 Stay here overnight amongst sandy beach and lush green forest in a comfortable beach resort. Then after lunch proceed to the Laxmanpur Beach. Overnight Stay at Neil Island. Neil is an island of the Andaman Islands, located in Ritchie&#039;s Archipelago, lies 36 km northeast from Port Blair. Neil Island is known for its magnificent biodiversity, unexplored coral reefs, white sandy beaches and tropical woodlands. 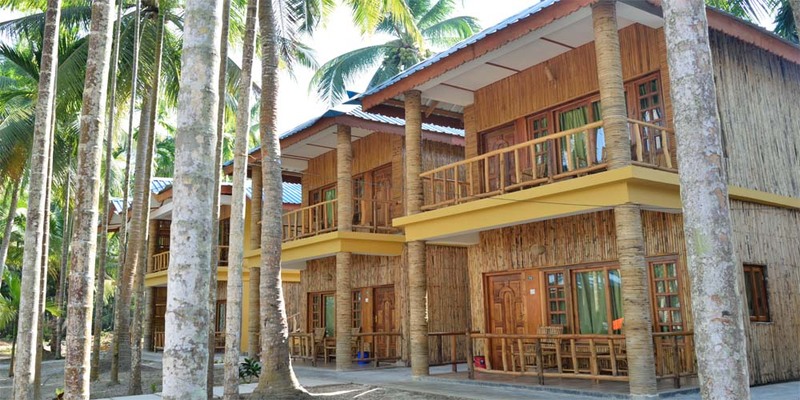 It is perfect for a peaceful time off with its laid-back vibe and lucid charm. Explore the island&rsquo;s villages or indulge in water sports in the crystal clear water. Spend quality time at the long deserted beaches of Andaman&rsquo;s rustic masterpiece, Neil Island. Among the beaches in Andaman, it is ranked no.3 and the major reason for that is the greatest combination of azure water, the long stretch of secluded beach, the tropical trees in the backdrop and the heaven-like peace prevailing around. 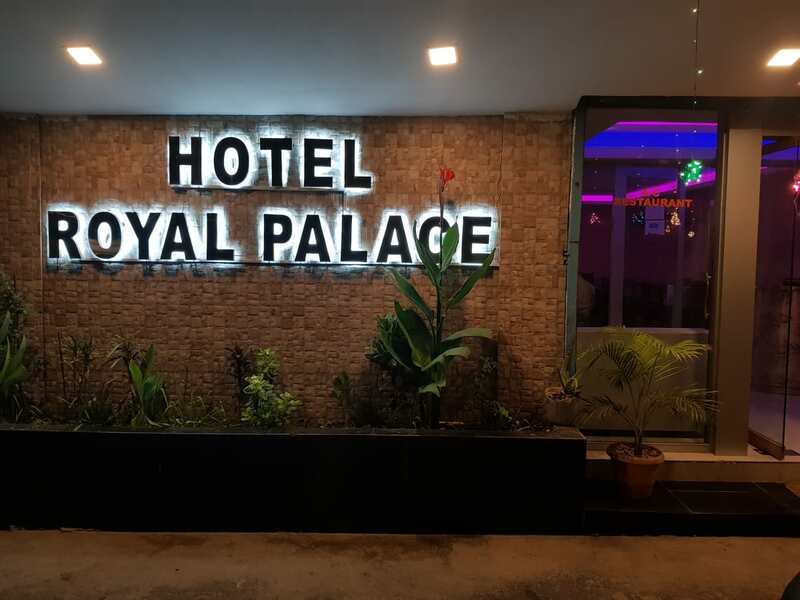 In a brightly colored building surrounded by palm trees, this utilitarian hotel is a 7-minute walk from both Bharatpur Beach and Neil Island Ferry Wharf. The straightforward rooms have simple wood furnishings, traditional decor and TVs, as well as en suite bathrooms with wet rooms. Upgraded accommodations add air-conditioning. 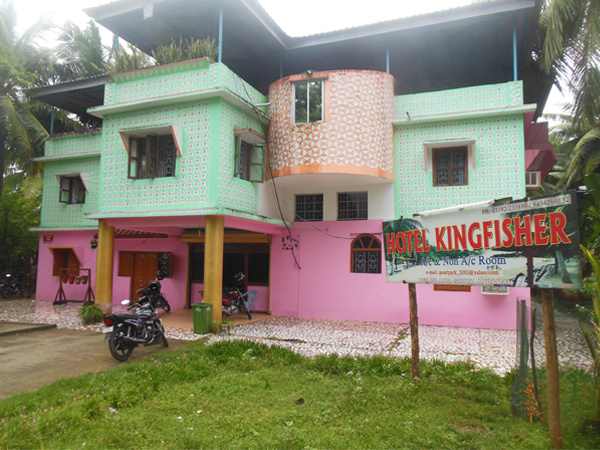 Return from Neil Island in the afternoom and transfer to hotel in Havelock Island Overnight Stay at Havelock. Embedded in the picturesque coromandel coastline of the natures showpiece called Havelock Island - a heaven of sun, sea and sand - a luxurious refuge in the lap of winds and waves, situated in the hushed serenity is Eldorado Beach Resort, nestled between a tropical lagoon and the sparkling Andaman Sea. A beautiful beach resort located in a lush tropical garden, a paradise of birds and butterflies in the lap of nature it is a heaven of man-made luxury. Facing the most acclaimed and prominent restaurant of Havelock Island, one can enjoy tropical speciality sea food- crabs, lobsters and a wide variety of fish, straight from the nets of the local fishermen. An Ideal Beach Resort with beach beauty crystallized just for you. 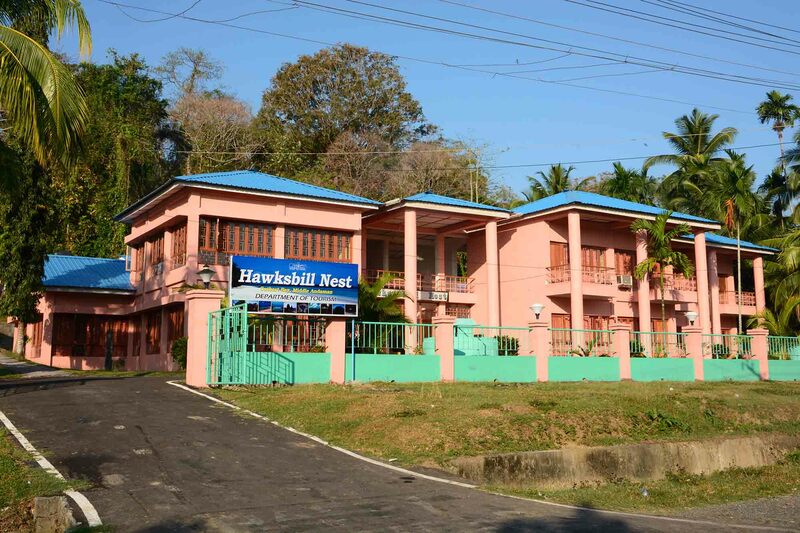 THE OCEAN BLUE RESORT-VIJAYNAGAR,HAVELOCK Havelock is a gem in the garland of the Richie’s Archipelagos. People from all the parts of this planet visits this Island with a hope for a trip full of joy and pleasure and they return home with sweet memories in their heart and soul left behind them only footprints. The Ocean blue Resort situated at the doorstep of enchanting Vijaynagar Beach at Havelock # 5 was born just a few days back on 23rd day of November 2014 as a new beginning for the comfort living of our valued and precious guests. It is our heartfelt Endeavour’s that the guests from various corners of the globe should have homely feelings in their stay away from home. 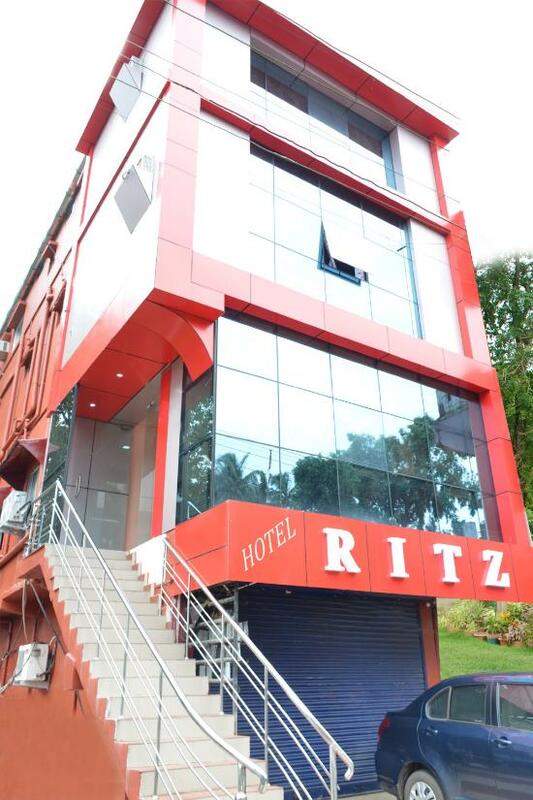 Our motto is to serve thyself round the clock and We are committed to provide our guests with excellent services .We shall never left any stone unturned in this concerned. 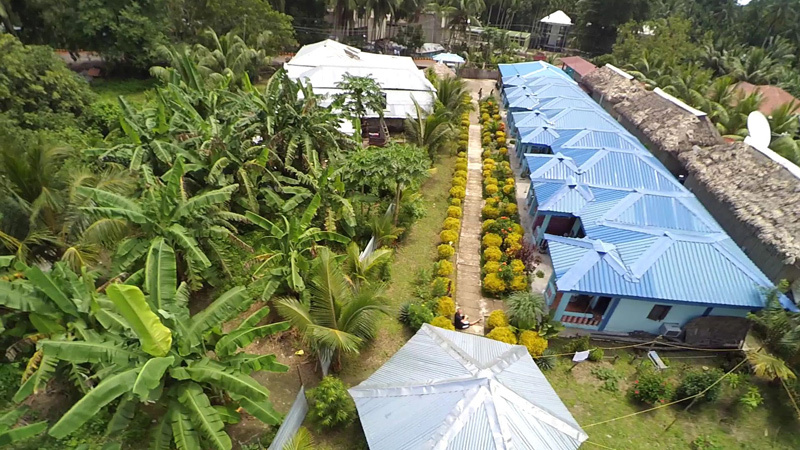 The Ocean Blue Resort is a Unique Destination for those people who desire a laudable and a pleasant leisure time in their valuable trip to explore this Island. After breakfast, proceed to half day trip to Elephant Beach for adventurous snorkeling experience. Snorkeling is leisure water sports in which a persons swims on the surface of water wearing the face mask and view in the underwater corals. Overnight Stay at Havelock. Elephant Beach is an ideal destination for water sports and one of the known hotspots for snorkeling at Havelock Islands. Its rich coral reef structure and amazing underwater marine life will certainly spellbind you and offers water sports like diving, snorkelling, swimming, bird-watching, trekking and kayaking. This place is ideal for relaxing spending a leisure time with food and drinks. Being famous for its coral reefs, sea walking is also one of the popular water activity here. After breakfast, proceed to the Asia's Best Beach "Radhanagar Beach (Beach No. 7)". 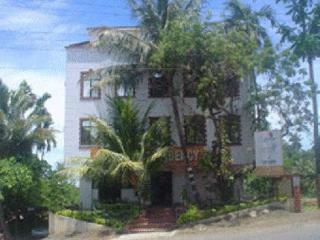 Return from Havelock Island in the evening and transfer to hotel in Port Blair. 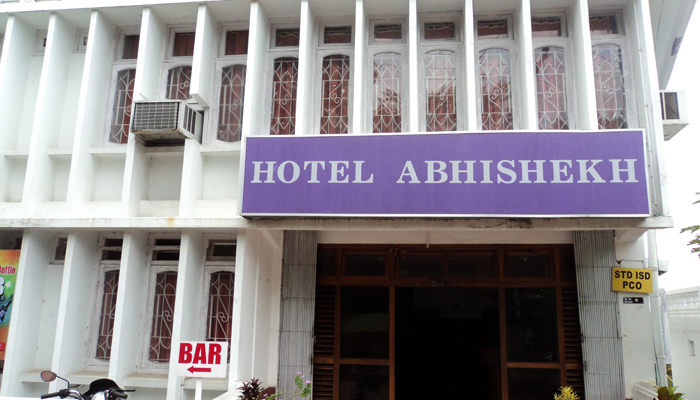 Overnight Stay at Port Blair. Radhanagar Beach, also called as Beach No.7 is counted among the most beautiful beaches of Asia, is incredibly astounding beach located on the gorgeous Andaman Island. The beach has turquoise blue sea and white sand which makes this beach a perfect spot to bask in the midst of nature&#039;s bounty. The breathtaking sight of sunset on this beach makes the tourists forget all the woes of life. Sunbathing, sunset view, swimming and basking in the sun are the best activities to enjoy on Radhanagar Beach. ▪ Airport / Harbor Tranfers + all the aforementioned sightseeing & tour by exclusive chauffer driven AC vehicle (Swift Dzire / Scorpio / Indigo / Tavera / Xylo / Ertiga) on all days at Port Blair. ▪ Sightseeing in private Non air-conditioned vehicle as per the itinerary at all places. ▪ Transfers at Havelock in a AC Scorpio / Sumo / Eeco. ▪ To and fro Private Ferry Tickets to Havelock(MAKRUZZ / COASTAL CRUISE / GREEN OCEAN). ▪ Entry/ Ferry tickets at sightseeing places. ▪ All applicable taxes. Except GST. ▪ Air / Ship fare to & Port Blair. ▪ Personal Expenses like Telephone , Fax, Internet, Laundry etc. ▪ Camera Tickets at various places of sighseeing / tour. ▪ 5% Government service tax. ▪ A minimum of 02 persons are required.